ure Electronics specializes in Hi-rel Audio Solutions that provides electronics hobbyists and business partners the middleware which can help reduce customers' development difficulties and save their precious time-to-market by making the products directly released in the market. 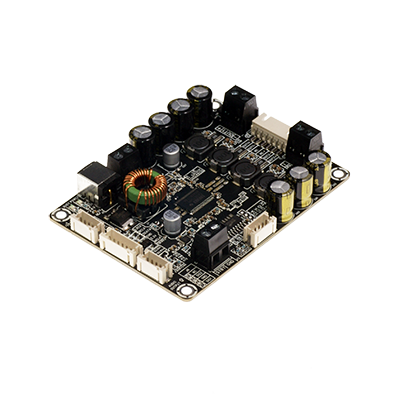 Aimed at improving efficiency, consequently reducing power consumption, and increasing power density, Sure Electronics, always attentive to the development of 2P Platform, High Power and High Performance, has been offering for many years a range of Audio, power supply and DSP solutions for Commercial, Industry and Medical applications. Centred on High Performance Platform, we are committed to providing customers the products, services, and expertise they need for their projects for use in Professional Sound Reinforcement Systems, Cinema, Public Address, Active Speaker Systems, Sound Systems, Hi-Fi Systems, Guitar Amplifiers, Jukeboxes and Games Machines, Home Theatre. Sure Electronics’ High Power, High Voltage and Ultra Wideband amplifiers are available for non-Audio Hi-rel industry and “M” Grade high reliability applications, which meet the demands of Underwater Acoustic, Alarm and other rigorous operating environments. All INDUSTRIAL grade products are 100% static and dynamic tested at -25°C ~+85°C while ‘M’ grade product is 100% tested under -55°C ~+150°C. Extremely high efficiency allowing for massive power headroom in a compact form factor. They are widely used in police and military applications and in drones. STRONG ENOUGH, To survive in the most harsh environments. SMALL ENOUGH, To make each space most effective. SURE Electronics will be transformed into a professional designer and a manufacturer of Class-D audio amplifiers and matched power supplies. So SURE brand will fade away from retail and Sure Electronics will be committed to provide solutions, instead of direct products, for our distributors and partners. Our company name, Sure Electronics, will always remain the same. No.9, Weidi Road, Xianlin, Qixia Dist. Copyright 2017 @ Sure Electronics Co,. Ltd.